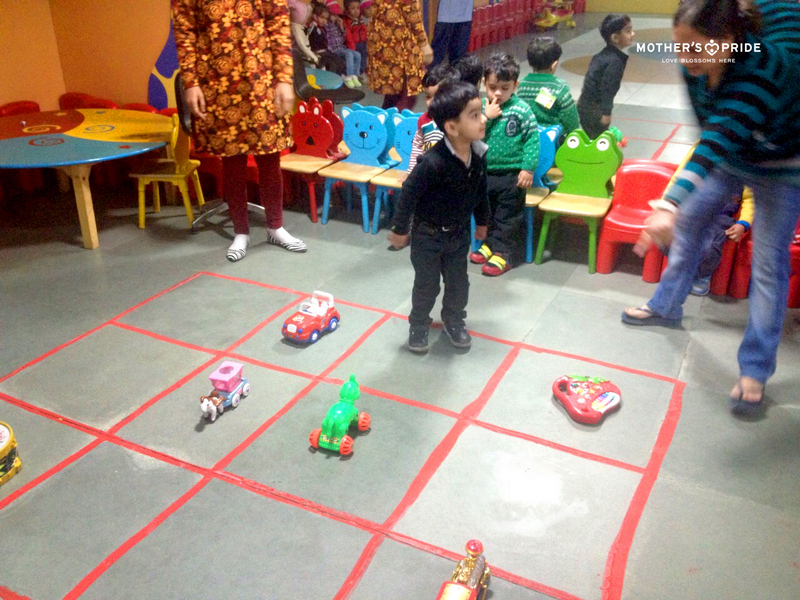 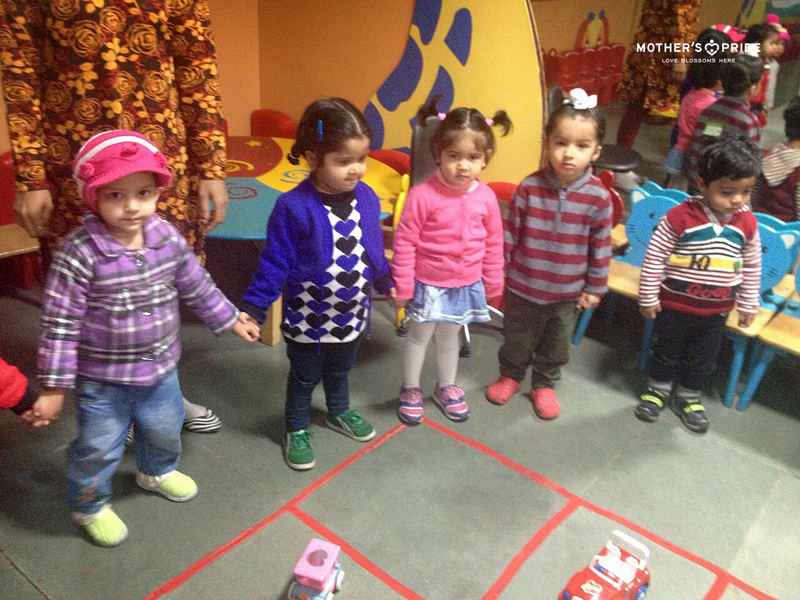 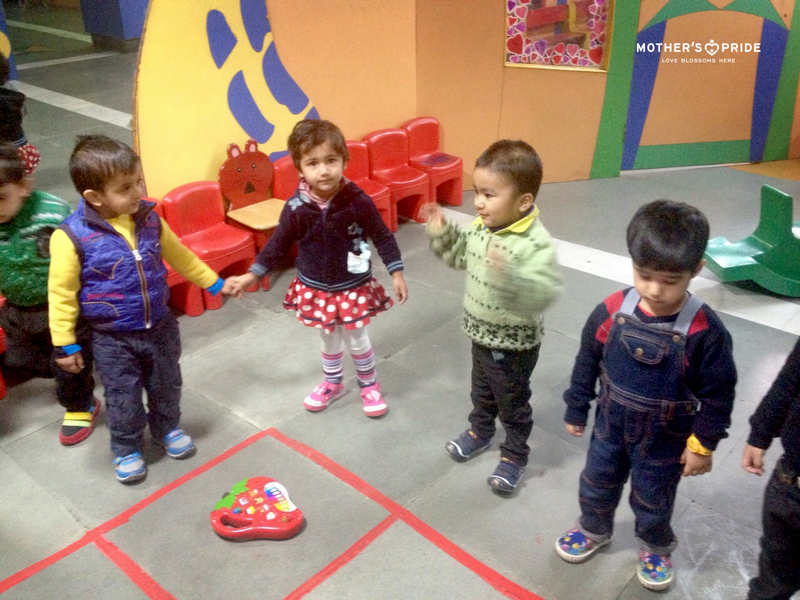 To develop simple loco-motor movement in children, teachers at Mother’s Pride school organized Hopscotch Fun activity. 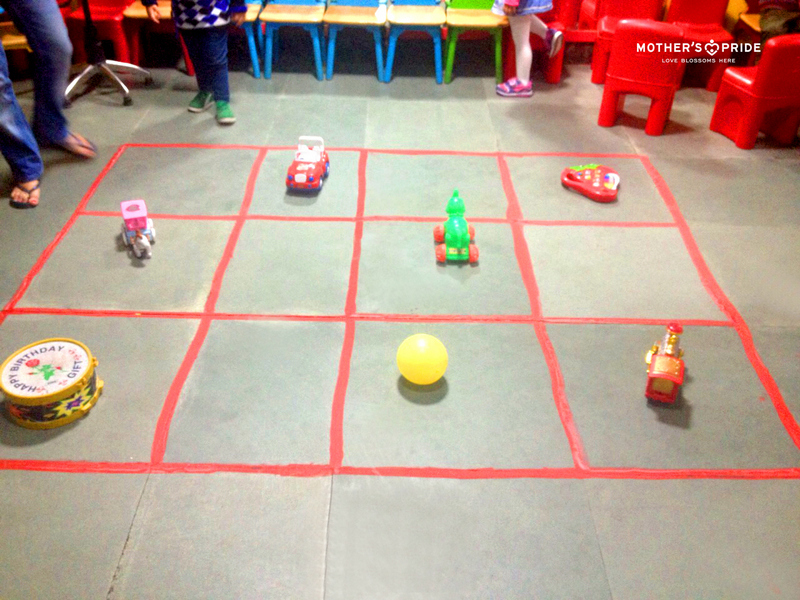 An interesting hopscotch pattern using toys in several boxes was created on the floor for children. 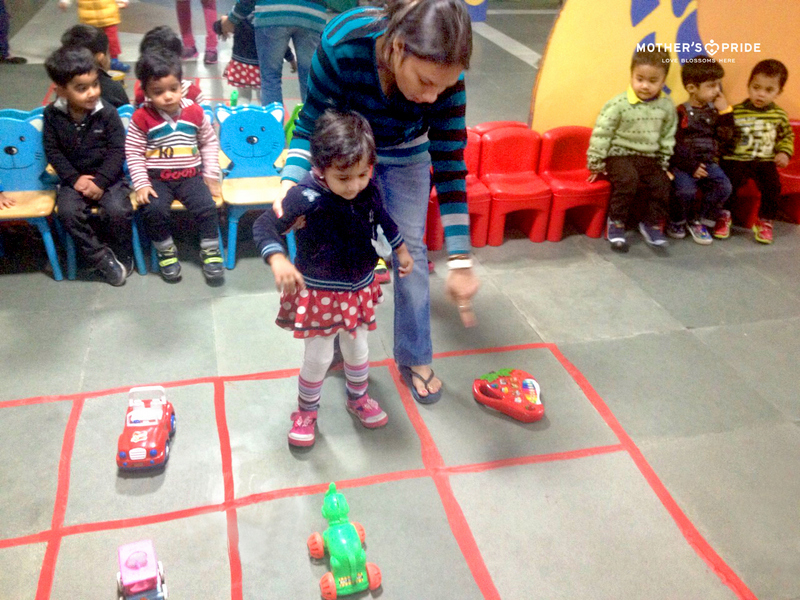 Children were asked to jump all the way from start till end either only in the boxes with toys or in those without the toys. 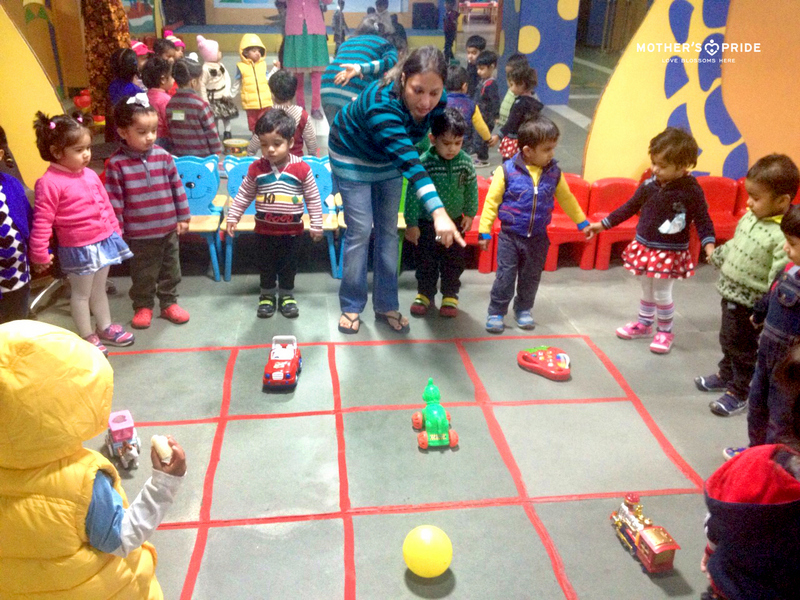 All the kids thoroughly enjoyed the activity.